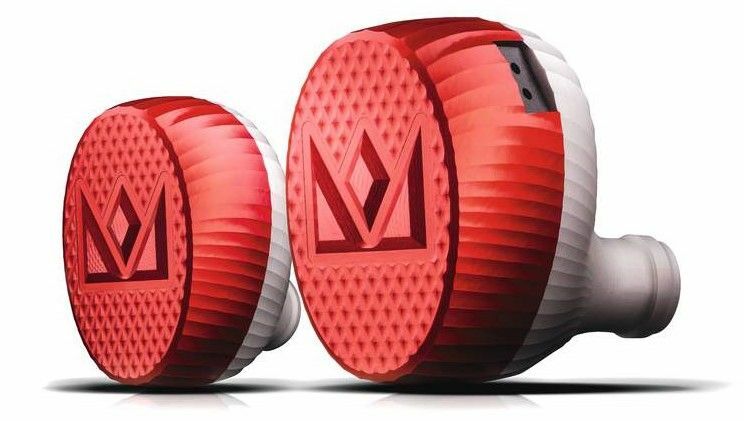 Music-listening gadgets – we're talking smartphones or (our preferred choice) Hi-Res music players – are often bundled with shonky in-ear buds, just to get you off the ground. But T3 would never recommend banging out your tunes with these ineffective lug-speakers; not only will your music sound bad, you'll also need to turn the volume right up to hear anything, which isn't good for your long-term ear health. So ditch those noise-makers – what you need is a pair that'll do your favourite tunes justice. But there's no need for a pair of gargantuan over-ear cans; a good set of in-ears will sound great, and will also work much better when you're on the move. We've seen some good in-ears in our time, but Noble Audio's K10 in-ear monitors really take things to the next level. Crafted from aluminium in sunny California, these beauties are packed with no fewer than ten drivers in each ear for bass, mid, high and super-high frequencies. What this means is you get hugely impressive sound in a very small space – in fact, they're designed to take advantage of Hi-Res Audio, guaranteeing you'll be able to hear all the extra detail available in 24-bit tracks. If you want to be in with a chance of winning the ultimate in-ear 'phones, just answer the question on our Facebook page.